The DeviceMaster RTS 4P2E is the 4-port model of Comtrol’s popular line of industrially-focused DIN-rail mount serial device servers. Packaged in a compact, rugged housing, the RTS 4P2E model provides four serial ports via standard DB9 male connectors with the additional benefit of a two-port Ethernet switch to support a variety of network installations. Featuring the same Linux and Windows certified drivers, SSL/SSH security, and intuitive configuration as the rest of the industry-leading DeviceMaster family, the small-form factor RTS 4P2E is the perfect serial expansion solution for panel builders, cabinet installations or any application where performance demands are high but space is at a premium. 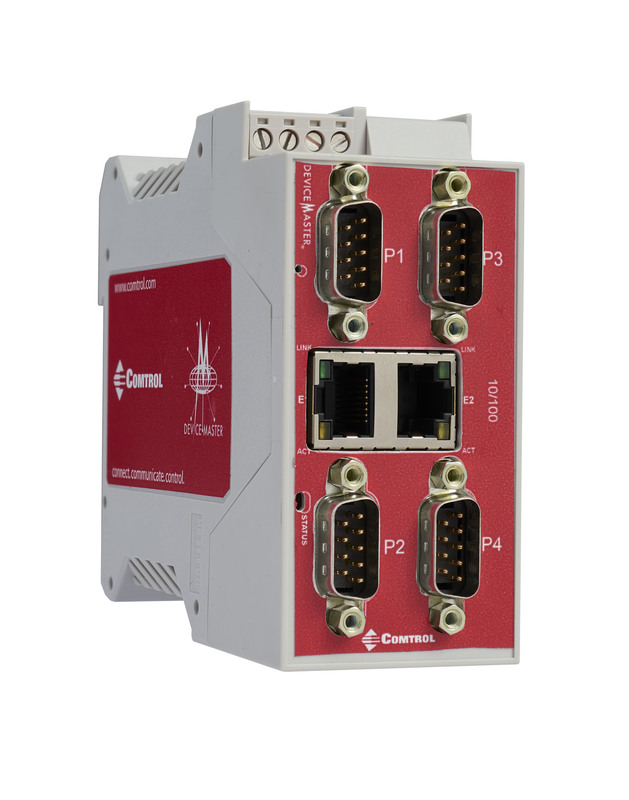 The DeviceMaster RTS 4-Port DB9 2E serial device server can be used to network-enable two serial devices on any Ethernet network and is ideal for applications in: traffic and transportation, power utility, industrial automation, material handling and any project that requires serial-to-Ethernet communication with DIN rail-based equipment installations.